– – from the story “How Mr. Rabbit Was Too Sharp for Mr. Fox” in the book “Uncle Remus: Being Legends of the Old Plantation” by Joel Chandler Harris. When I was a child, my family spent a week every summer with my grandmother in Eatonton, Georgia. Back then, U.S. Highway 441 was a major north-south route through Georgia. The highway went through the downtown of many small towns and Eatonton was one of them. 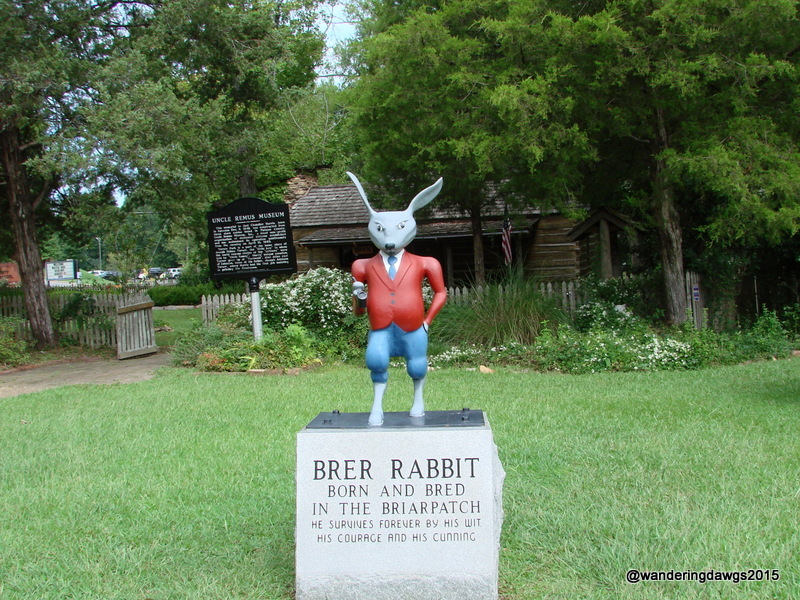 From the highway travelers saw the statue of Br’er Rabbit which sits on the courthouse lawn (the picture in the header above shows Br’er Rabbit is still on the courthouse lawn today). Times have changed and these days a bypass goes around the town. Travelers who take the time to get off the bypass and explore the downtown area will find two interesting museums, a butterfly garden that is a certified Monarch Way Station, charming shops and an award winning restaurant. Although I’ve lived most of my life in coastal Georgia, my roots are buried deep in the red clay of Putnam County in middle Georgia. My mother grew up on a dairy farm in Putnam County and after she and my dad retired there in the early 1970’s my children got to spend their childhood visiting Eatonton, the county seat, each year. I still go there several times a year. Joel Chandler Harris, the author of the Uncle Remus stories was born in Eatonton in 1848. Harris first introduced the characters of Br’er Rabbit, Br’er Fox, and Br’er Bear in a newspaper column. The column was so successful he later published several popular books of the stories. The 1946 Disney movie “Song of the South” brought these characters to life on the big screen. 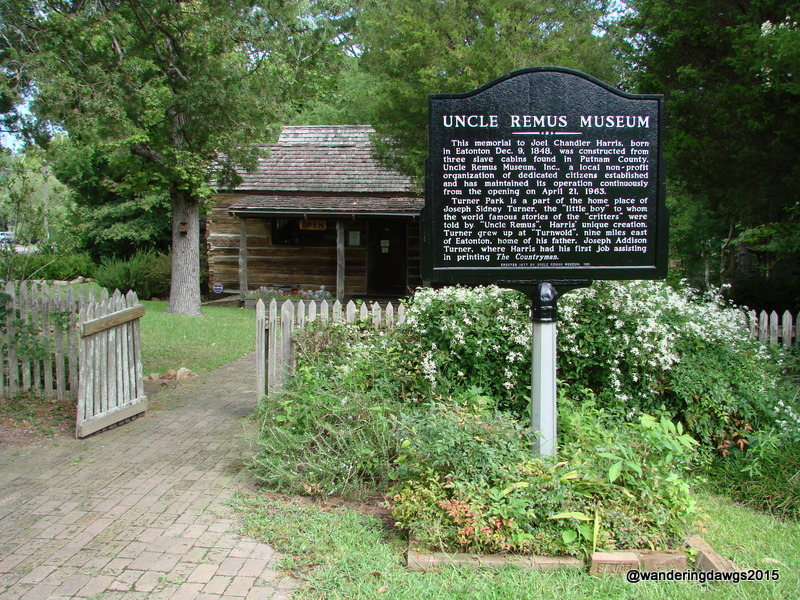 A visit to Eatonton wouldn’t be complete without a visit to the Uncle Remus Museum located in Turner Park, three blocks from the courthouse on Highway 441. 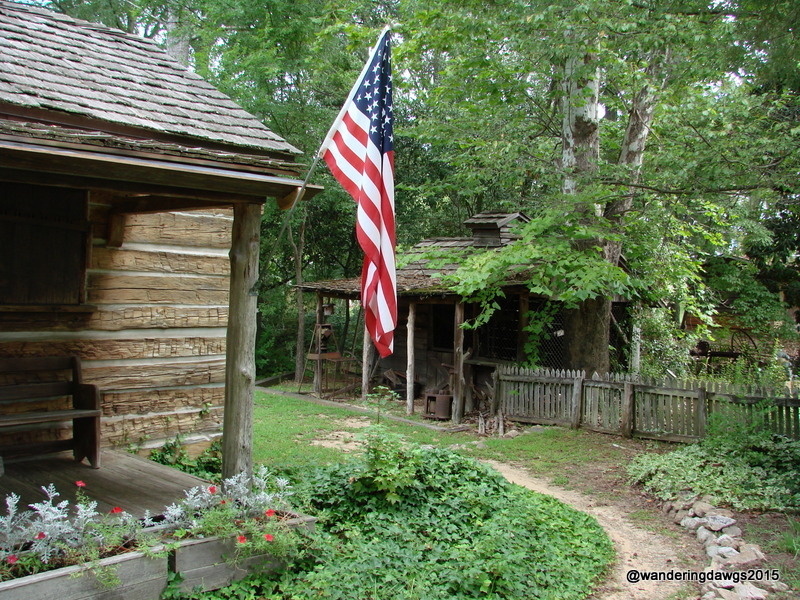 The building housing the museum was created from original slave cabins from Putnam County. Two cabins were moved to the museum location and combined to make the two main rooms of the museum. Later, a third room was added from a Putnam County plantation home. In these rooms are many first editions of his books, interesting displays of artifacts from the 1800’s, and shadow boxes with wooden carvings of the characters. The day I visited the museum I was greeted by Georgia, a delightful and enthusiastic volunteer who entertained me with many great stories. The Uncle Remus books were printed in at least 27 different languages and the museum has visitors from all over the world. In one of the display cases are several books published in other languages that were sent to the museum from visitors when they returned home after visiting the museum. In addition to Joel Chandler Harris, Eatonton is also the birthplace of Alice Walker, award winning author of “The Color Purple”. Flannery O’Conner’s home was in nearby Milledgeville. The Georgia Writer’s Museum features permanent displays celebrating these three authors. In addition, there are books on display from many of other Georgia authors. Again I was greeted by an enthusiastic volunteer who walked with me through the museum and told me some interesting stories about the authors. A fairly new addition to the town is a beautiful butterfly habitat created by local volunteers. The garden is Certified Monarch Way Station No. 9045 and is also an official site for geo-caching. When I visited there in August, 2015 several varieties of Swallowtails kept me entertained. I created a Mesh gallery of the garden. Click the right arrow on each photo to advance to the next picture. Of course we have a favorite restaurant when we are in Eatonton. 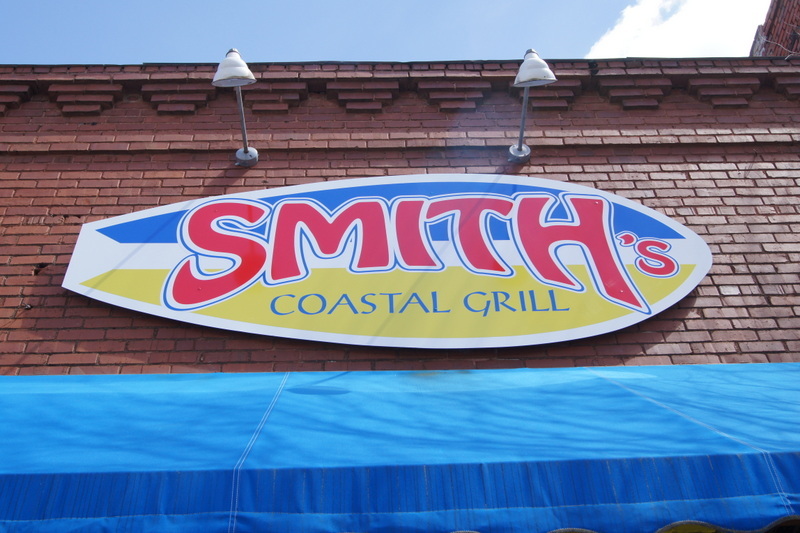 Smith’s Coastal Grill, located on Jefferson Street just a block from the courthouse, was recently named one of the 100 Great Plates in the state of Georgia and is featured in Georgia Eats, the Official State Culinary Guide for the state. They won this honor for their amazing fish tacos. Other favorites are shrimp and grits, fried green tomatoes, and Key Lime Pie that rivals any you could get in Key West. Right next door to the restaurant is Smith’s Sweets with coffee, homemade pralines, pastries, ice cream and if you get there on the right morning, delicious chicken biscuits.